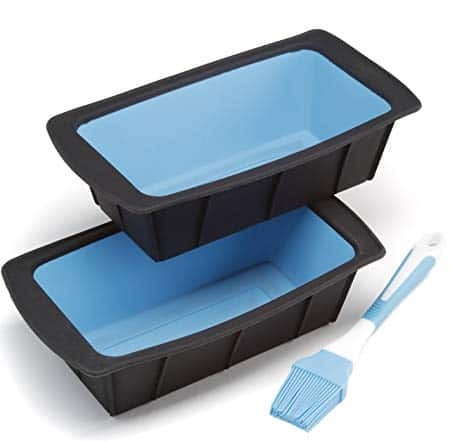 This Maxi Nature Kitchenware Bread Loaf Pan is a set of 2 silicone pans that come with a bonus cooking guide and a brush. You can use the loaf pan hundreds of times without experiencing any issues. Among the dishes you can cook with this bread pan include coffee cake, zucchini bread, lasagna, meatloaf, vegan-friendly meals, pot pies, quiche, fruit cake, banana bread, pound cakes and more. The pan has a nonstick surface that ensures whatever you bake pops right out without any difficulty. Cleaning the pan is also easy thanks to the silicone mold. Below is an overview of the Maxi Nature loaf pan. 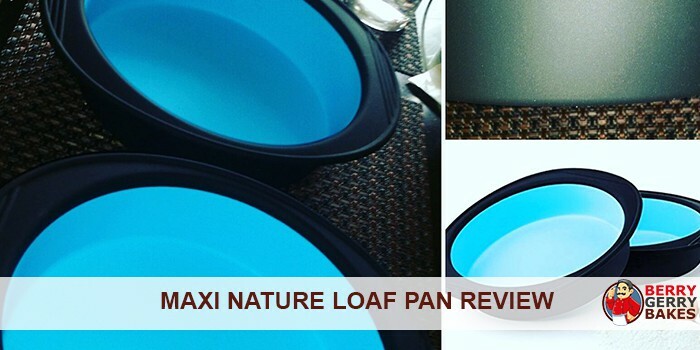 The Maxi Nature loaf pans are made of thick flexible silicone. The material is strong and doesn’t bend or warp. Moreover, it is odorless and, therefore, does not transfer any smell to the bread. More importantly, the material is BPA-free and safe for use with food. The Maxi Nature loaf pans measure 9.5 x 5.7 x 2.7 inches. This is one of the best loaf pans on the market. The brush that comes with the loaf pan is finer than most silicone brushes on the market. One problem you are bound to experience with the Maxi Nature Kitchenware Loaf Pan is that its sides are not very strong. When baking, the sides buckle and sag pretty easily. To solve this problem, you can put the pan into a metal loaf pan and it will work fantastically. If you are looking for a time-saving, easy-to-wash, non-toxic and no-odor pan, get the Maxi Nature loaf pan. The pan has two colors (black and blue) and is FDA-Approved. The silicone material used to make the pan can withstand oven temperatures of up to 470 Fahrenheit. 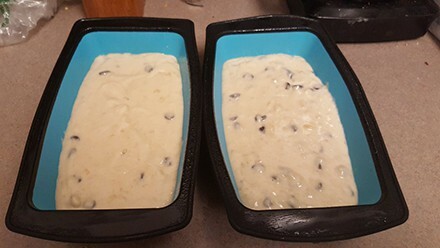 However, to get more uniformly shaped bread, you might want to place the silicone pans inside a rigid loaf pan.